I did a rendering when the first Huracan spyshots came out (back when we all called it the Cabrera), it gave me a better appreciation for the design language, and I was surprised at how much it was passed around. So I figured I would do another render, this time with the Huracan Performante test mule. I used a spyshot from autoevolution taken during winter testing, and I worked directly over the picture and tried to interpret as best I could what could be under the camo. The rumors I've garnered so far are that this car will be the LP650-4 Performante. The name will be "Performante" instead of "Superleggera" due to a lawsuit taken up by "Touring Superleggera" alleging that use of the Superleggera moniker belongs to them. Top speed is rumored to be 210mph, and performance/handling will be improved through use of active aero flaps in the front end that will be used for "aero vectoring." And of course as we all know the car will save weight over the base Huracan through the extensive use of alcantara and forged carbon (CFRP). Do you have any Dental Health related Questions? Alright I'll give this a go... I'm 22, have always brushed/flossed, the works. I went in for a cleaning last time and to my dismay found out I have "root resorption" or "tooth resorption." I believe it was tooth #14 that had low density in the last x-ray towards the center of the tooth. They took another x-ray and found the low density has grown in size and punctured a small hole in tooth wall between #14 and #13. The dentist told me that my body is basically attacking my tooth and absorbing it back into my body, and that normally this kind of thing doesn't happen to people my age - usually it's retirees (FML). He told me that I should immediately remove the tooth, a piece of my jaw bone, and all of the gum around the tooth (for [email protected]*k's sake) to combat the resorption - or I can risk it and leave it as is until my root starts hurting (there are different rates of absorption so it may not happen for a long time - but the hole doesn't help). I decided that sawing my mouth to pieces was a bad idea at my age, so I decided to sit on it and wait. Its been almost a year since then, the tooth doesn't hurt, I've been paying special attention to it, even using a fluoride/mineral paste to try and build back some density (if that's possible). Needless to say I have another cleaning in 3 weeks and I'm scared shitless to hear whats going on with the tooth. Should I leave it for now? Or mutilate myself? How Much You think Huracan Will Cost? It really is not that big a jump after the R8 V10 Plus - Starting price $170,545... http://www.audiusa.com/models/audi-r8/configurator Audi will try to stratify the market, keeping the R8 on bottom, the Huracan at a premium above it. R8 ~200K base, 250K loaded. Huracan I can see at 260K base, 300K loaded. I heard the 2015 Audi R8 will be around 200K and the Huracan will take a price hike upwards because of this. I probably shouldn't have posted anything on their FB, got kinda excited.. The 24th seemed to be the date the episode should be shown because there was a week in between each episode. But I have heard a lot of rumors about a December 20th press release, so its possible that it was supposed to air today anyway (which would explain a leak a day beforehand). 8.5 hours because each episode was put online at about 10:30AM US EST time, now making it t-minus 8hrs. Lol I didn't mean to be a d!ck. I've seen the #SOUND video popping up in places. Lamborghini MUST be showing the last episode in 8.5 hours to outpace the leak. "who-RA-khan" LOL, Lamborghini just put up "C'mon! ‪#‎hexagonproject‬ 9% to the 4th and final episode" on facebook. I commented "I hope we see another color besides Azzuro Thetis" and linked a picture. 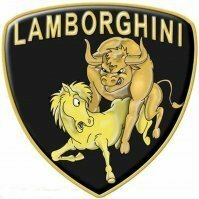 My post was deleted within 5 seconds... Lamborghini has got to be on its toes tonight after this leak.